or, “Are braces inevitable?” There are a variety of factors that determine the answer to those questions. To shed light on the subject, I’ll go over when braces are needed, the causes of malocclusion, or an improper bite, and if orthodontic treatment can be avoided with preventative measures. Will My Child Need Braces? 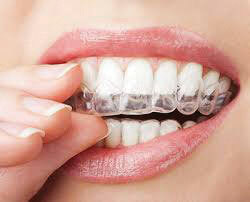 Haven’t we all crossed paths with one those lucky people who have a fantastic smile without the help of orthodontics? Yet, they seem so few and far between. That’s because research indicates that 80% of kids and teens have some degree of malocclusion with crowding being the most common, followed by overjet, often referred to as an overbite. While anyone in this 80% could benefit in some way from braces or Invisalign, not all of them will be in jeopardy if they skip the teeth straightening process, particularly those with very mild cases. The majority of the time, treatment is recommended to improve oral hygiene, for cosmetic purposes and to ensure long-term oral health. All of these are important, valid reasons for undergoing treatment. Yet, it’s estimated that around 15% of patients have a serious, handicapping malocclusion, meaning it interferes with chewing, speaking or even causes pain. In these cases, it’s absolutely necessary for your child or yourself to seek out treatment and the earlier you do it, the better the outcome will be. To get back to the question at hand, statistically, it’s highly likely that your child will have a degree of malocclusion. Whether or not they wear braces, unless they fall into the 15% with serious orthodontic issues, will be a personal choice. However, when weighing the pros and cons, know that the benefits of straight teeth include being able to properly clean them to avoid expensive, painful dental work, having aligned jaws, which may ward off TMJ pain, headaches and changes to facial structure, preventing future bone loss, and more. Also, considering we’re a society that really values the appearance of people’s smiles, even patients whose crooked teeth are merely a cosmetic concern, particularly kids and teens who are vulnerable to teasing, will still want to consider braces or Invisalign. The power of self-confidence shouldn’t be underestimated! A lot of orthodontic issues are caused by genetics. Crowding and spacing often present themselves because of an imbalance in the tooth-to-jaw-size relationship. With crowding, teeth can be too large for a smaller arch and spacing is sometimes thanks to teeth that are too narrow for the jaw. Overjet and underbites are typically skeletal in nature and result from a discrepancy between the jaws. Crossbites, especially a back crossbite, are also subject to the genetic lottery. Even with two parents who never wore braces, the mixture of genes passed onto the child won’t necessarily result in perfectly straight teeth. The massive number of individuals who need orthodontic treatment these days even goes beyond traits inherited from family members. In fact, overjet is actually more common in certain ethnicities including Caucasians and South Asians. A study found that humans’ transition from hunting and gathering to farming may have led to a shortening of the jaw that left less room for teeth (remember, I said crowding was the most common orthodontic problem?). This is because with the advent of farming, easier to chew, processed foods became the staples of our diet and we no longer needed such robust jaws. While genetics play a huge role in the alignment of our teeth and jaws, certain habits and environmental factors can also create problems or worsen existing ones. Thumb sucking, extended pacifier and bottle use, nail biting and pen biting and losing baby teeth too early are tied to a range of diagnoses, including front crossbites, crowding and spacing. 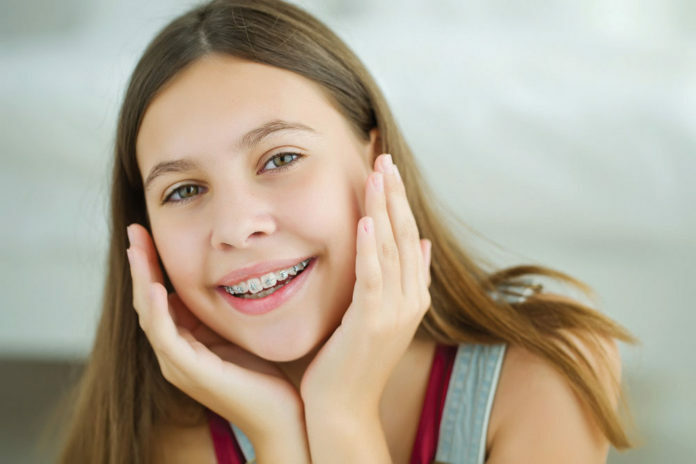 How Can I Prevent Braces for My Child? • Schedule your child’s first visit to the orthodontist by age seven! I know, I know, you’re thinking this means your kid will be even more likely to wear braces. That’s actually not the case. Only about 10 to 15% of children can benefit from early intervention. The overwhelming majority will simply pop in occasionally over the next few years so the doctor can monitor the development of their teeth and jaws and let you know when, and if, it’s time for treatment. If action should be taken that could help your kiddo skip braces, like extracting baby teeth to make room for permanent teeth or using an appliance temporarily, they’ll let you know. • Visit the dentist regularly and ensure your little one practices proper hygiene. While a lot of people don’t worry too much about cavities in children and think the primary teeth are just going to fall out anyway, they serve an important purpose. They save a place for the permanent teeth so they’ll have room to come in properly. Losing baby teeth early can cause the adult teeth to erupt incorrectly, resulting in a need for treatment. • Make sure your child wears a mouthguard for any contact sport or activity that has a risk of dental injury. Like I just mentioned, losing baby teeth too early can create issues and knocking out permanent teeth has the potential to be even more problematic. 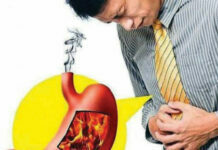 • Keep an eye on harmful habits like nail biting or pen chewing, both of which are associated with a front crossbite. While recommendations vary, the American Academy of Pediatrics takes the stance that children should stop drinking from a bottle by age two and sippy cups should only be used as a brief transition to regular cups. The majority of experts say parents should try to wean toddlers from their pacifier by age three. When it comes to finger or thumb sucking, which is a bit harder to put the kibosh on than pacifier use, I usually tell parents to try to break the habit when a child is four or five. I even have a recent post on the topic if you need some guidance. So, is orthodontic treatment worth it? For people with moderate or severe malocclusion, it definitely is. Even for those with more mild cases, the boost in confidence and improved oral hygiene are certainly valuable. Schedule a free consultation at Aura Orthodontics to have your child evaluated by calling us at (604) 593-5225.. I’ll examine their mouth, chat with you about your options and help you decide if they need treatment. If they do, I offer metal braces, clear braces, lingual braces, Invisalign and Invisalign Teen in Surrey and Abbotsford. My team and I have the expertise and technology to ensure treatment is as fast and comfortable as possible to give your child the healthy, beautiful smile they deserve. (604) 593-5225.